Inkle Studios specialises in interactive stories. It has provided the code for Frankenstein by Dave Morris (yes, I know Mary Shelley wrote Frankenstein, but wonderful gamebook writer Dave Morris converted it into an interactive story) and it is also adapting Steve Jackson's Sorcery! into digital. It also has its own tool for developing interactive stories, Inklewriter. Which is why it is great to have an interview from Jon Ingold, one of Inkle's founders. And without further ado, I hand you over to Jon. My name is Jon Ingold, and I'm the co-founder, with Joseph Humfrey, of inkle, a software and design company who specialise in making interactive stories. Which is to say, we're making things a lot like gamebooks and text adventures, but we're trying to make them feel as fresh and vibrant as possible on tablets and smartphones. When we started - which was December 2011 - it felt like there were only a few people working in this space - the guys at FailBetter, the guys at Choice of Games, and of course, the Tin Man. Now, barely a year and a half later, it feels like a very busy place indeed! It's particularly surprising for me because when I got started in interactive fiction thirteen years ago, writing text adventure games in the Inform language, it was a very niche past-time indeed. We'd make games that would be played, discussed, compared and dissected by at most 500 people. And there weren't many games, which meant those people would tolerate extremely difficult, opaque games which took weeks or months to complete. There were small competitions and awards and I was lucky enough to win a few. But whenever I showed one of my games to someone who hadn't played a text adventure, they would be completely stumped. "You're meant to type in what to do? But what should you type? What should I do?" Skip forward ten years, and after working at Playstation and meeting Joe, we founded inkle and started thinking about ways to tell interactive stories that anyone could play. They had to be simple, smooth and elegant - and they had to be beautiful. Frankenstein, our first app project, was born. (Actually, inklewriter - our framework for story-writing, was born: Frankenstein was Dave Morris' idea, we simply provided the loom on which he wove his tale.) Frankenstein came out last April, and was pretty well received. A lot of people enjoyed reading it - including people who don't like games. In fact, most people didn't think it was a game at all. We had several reviews in the literature sections of newspapers. 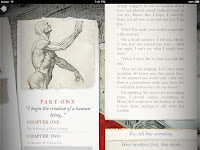 Our next step was to get inklewriter online (http://writer.inklestudios.com), so that anyone could write a story with the same kind of interactivity as Frankenstein. We thought that was really important, because when it comes to writers, Dave Morris is an exception and not the rule: most writers would get lost pretty fast writing interactive, branching stories. Indeed, most wouldn't want to try. inklewriter is an attempt to prove that with a good interface, anyone can write a branching story. A year later, it's being used in schools with kids as young as eight, as well as being used by professional game developers. We've also see people making training manuals and Spanish-language quizzes. It's still not as easy to inklewrite a story as to pick up a pen and write a "normal" story - but it's a lot easier than learning to code! We've removed all the dice-rolls, replacing combat with a simple, elegant sword-game of cut-and-thrust that rather nicely generates fight descriptions for the story as you play. 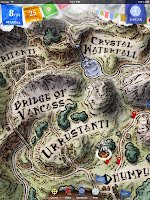 And there's also the map, drawn by Mike Schley and rendered into 3D by Joe, over which you make your journey. That's the heart of the app now, so that what we've created is almost closer to a tabletop game than a gamebook. We're pretty excited, and looking forward to getting started on adapting Book 2 in force (Sorcery! is a series of four connected books). So we're hoping people will really enjoy it. Looking ahead, I think the future of gamebooks and interactive stories is rosy, and best of all, diverse. Lots of people are trying lots of different things, both in the print and digital spaces. At inkle we've got a list of ideas in a notepad that we're dying to try out, and I know that everyone else has as well. So I'm looking forward to a few years of downloading other people's apps and saying, damn, I wish we'd thought of that… and hopefully, a few years of other people doing the same with our stuff! 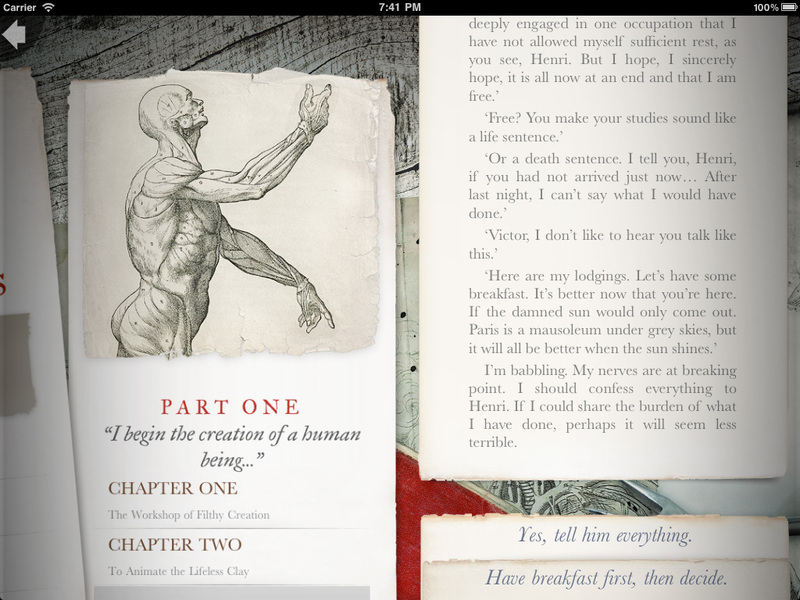 So check out Inkle, download Frankenstein and keep your eyes peeled for Sorcery! I just noticed I haven't commented on any of your A-Z posts yet! Last year's entry was amazing, and this one is shaping up quite nicely too. I've just commented on some of your older A-Z posts too, but I thought it would be best to pick this one to tell you how much I love your work. On-Topic: The sorcery app seems quite cool. How did they manage to make 3272 choices out of the first book? Did they rewrite the entire thing or something? Stuart, another good series of high quality posts from you. Here's a potion of stamina to get you through the rest of April! The gamebook scene is in a far healthier state than it was a couple of years ago and has seen a bit of a mini-revival. 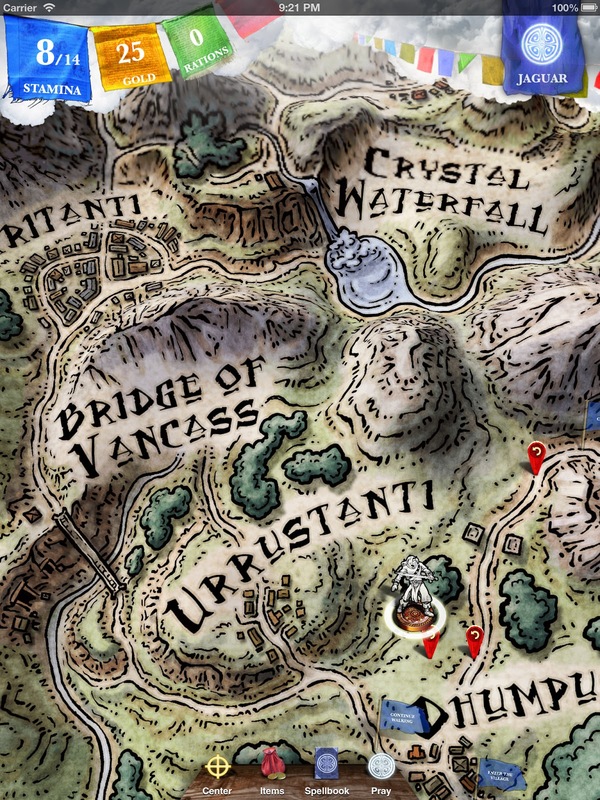 It's down to Inkle, Tin Man Games, Choice of Games, and blogs like this. Looking forward to seeing Sorcery! again. It was one of the most complex, difficult and ambitious gamebooks I've ever played. The only thing that has come close was Fabled Lands, however that was more non-linear and "find your own quest" rather than this series, which was more driven.